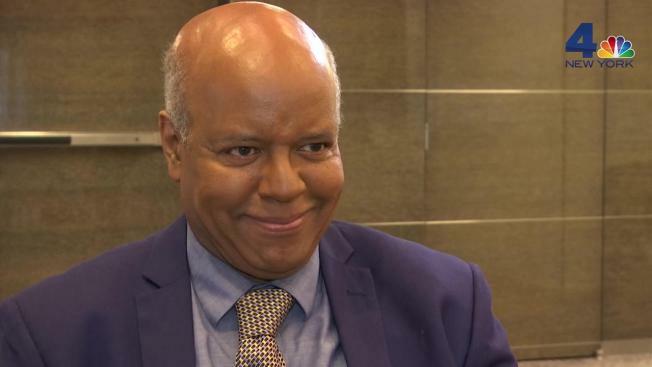 "I'm completely and utterly floored by this"
NBC 4 tracked down Jay Aubrey Jones, a New York actor and the man who voiced the yanny/laurel clip, to find out how the contentious recording came about and what he makes of his new-found viral fame. Last Wednesday, Jay Aubrey Jones, 64, was getting ready to go to his temp job when a story caught his eye on the "Today" show. A viral audio recording was making headlines worldwide: some swore it said "Yanny," others insisted it said "Laurel." Jones thought nothing of it, until his phone started blowing up later that day. The voice in the recording was him, he realized. And — shock horror — he was saying laurel. "Oddly enough I had not regonized my own voice when I heard it on television," he told NBC 4 Tuesday. "I'm completely and utterly floored by this, I'm really amused...every so often I'm laughing." 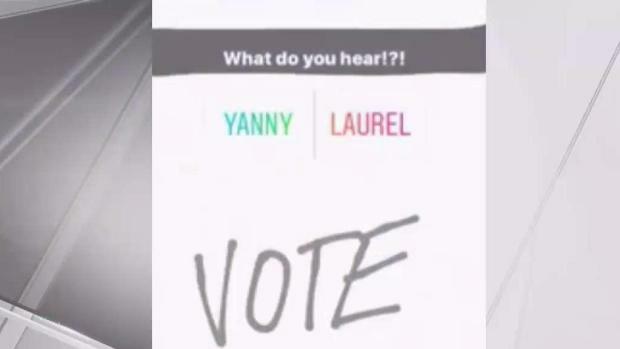 The man whose voice set the internet on fire last week spoke with News 4 about the phenomenon -- and whether he hears 'Laurel' or 'Yanny.' Roseanne Colletti reports. It turns out Jones, a New York-based Broadway and television actor, recorded the word "laurel" more than a decade ago for Vocabulary.com. The 64-year-old said he was in between acting jobs at the time, working at JPMorgan Chase, when a friend came to him with the opportunity. He auditioned and got the job. "I wound up recording about 36,000 words and phrases, the whole process took about two or three months. The one that sticks out the most to me was Ethel Merman ... typical for a Broadway kid, right?" Jones said. Fast-forward 11 years and his voice is being played, on repeat, in households and offices all over the world. In less than a week he has been interviewed by Time Magazine, Yahoo finance, NPR and television stations in Brazil, Sweden and Australia. Celebrities weighed in, Questlove remixed it on "The Tonight Show Starring Jimmy Fallon," Greek composer Yanni gave his two cents and the White House even issued a video response to the viral clip (in which President Donald Trump reveals the pronunciation of covfefe). "You can imagine my shock ... I'm still having trouble processing this," said Jones, who grew up in Atlantic City. "I'm now learning the total and utter power that the internet has, that it has gone worldwide so quickly." The confusing clip was initially discovered by a teenager at Georgia High School, "Inside Edition" reported. Katie Hetzel was working on a vocabulary project when she played the word "laurel" on her computer. She heard "yanny." A friend listened and heard "laurel." Vlogger Cloe Feldman posted it on Twitter and woke up to find it had gone viral. Media outlets picked up the story and went to Brad Story, professor of speech, language and hearing at The University of Arizona, to clarify the discrepancy in the clip. He ran an acoustic analysis and concluded that the recording was most likely saying "laurel," noting that the words yanny and laurel follow "almost the same path" spectrographically. The New York Times also made an online tool that allows people to change the sound frequencies of the recording so that they can hear both "yanny" and "laurel." By using a slider to manipulate which frequencies are emphasized, it makes one word or the other more prominent. Despite the fact Jones hears what he said, "laurel," he was able to hear "yanny" when using the tool. The actor — who has been seen in Broadway shows including "Cats" and "How to Succeed in Business Without Really Trying Broadway," and television series such as "The Michael J. Fox Show" — said he was unsure whether the viral fame would be a career booster. But he was "very amused and surprised" to hear his laurel/yanny role had been listed on IMDB. "Now I have to go onto IMDB to see how it's listed so I can put it on my hardcopy resume," he giggled. "I'm thrilled this is causing such recognition and such debate on how we hear and perceive things."